The United Nations and humanitarian partners Wednesday launched an international appeal for $2.1 billion to provide life-saving assistance to 12 million people in Yemen in 2017, a UN press release says, noting that this is the largest-ever humanitarian response plan for the war-torn country. 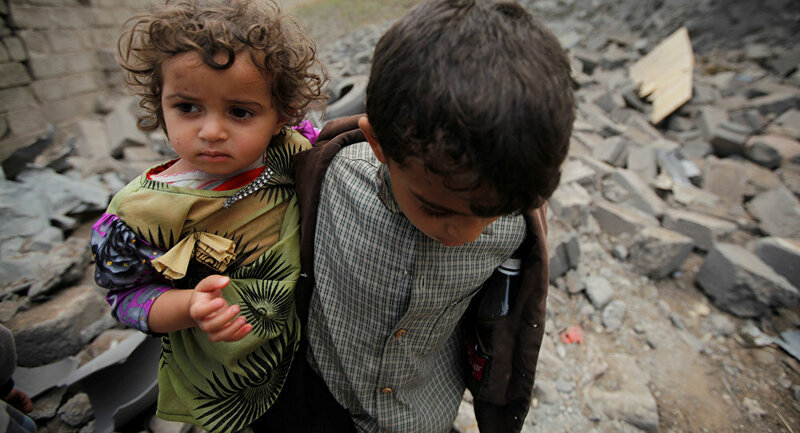 “Two years of war have devastated Yemen… Without international support, they may face the threat of famine in the course of 2017 and I urge donors to sustain and increase their support to our collective response,” said UN Emergency Relief Coordinator Stephen O’Brien in a press release on the launch of the Humanitarian Response Plan for Yemen in Geneva. “Humanitarian partners are ready to respond. But they need timely, unimpeded access, and adequate resources, to meet the humanitarian needs wherever they arise,” said O’Brien, who is also the Under-Secretary-General for Humanitarian Affairs. He noted that since March 2015, violent conflict and disregard by all parties to the conflict for their responsibility to protect civilians have created a vast protection crisis in Yemen and millions of people face threats to their safety and basic human rights every day. In addition, deliberate war tactics are accelerating the collapse of key institutions and the economy, thereby exacerbating pre-existing vulnerabilities. This has left an alarming 18.8 million people – more than two thirds of the population – in need of humanitarian assistance, according to the UN Office for the Coordination of Humanitarian Affairs (OCHA), which also estimates that 10.3 million people are acutely affected and nearly 3.3 million people – including 2.1 million children – are acutely malnourished. In 2016, 120 national and international partners including UN agencies and NGOs working out of humanitarian hubs in Aden, Al Hudaydah, Ibb, Sana’a, and Sa’ada assisted more than 5.6 million people with direct humanitarian aid, the press release says. Written by: Peter Mulvany on February 8, 2017. Posted by Peter Mulvany on Feb 8 2017. Filed under Gulf News, Headlines. You can follow any responses to this entry through the RSS 2.0. Both comments and pings are currently closed.